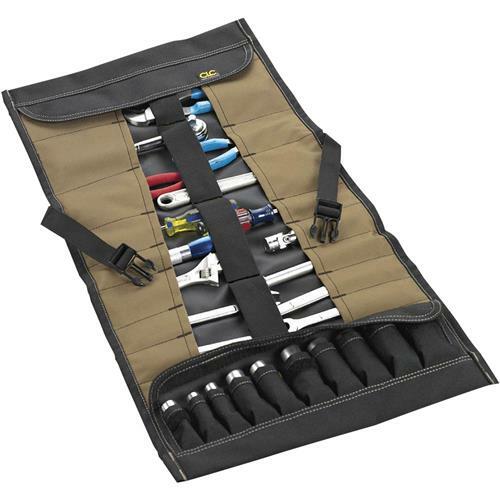 A premium quality tool roll with 32 pockets to neatly organize a variety of hand tools. It has a unique set of socket holders, a full length elastic tool retaining strap, and a quick release buckle to secure the tool roll with not is use. Approximately 28" W x 14" H. Tools not included.